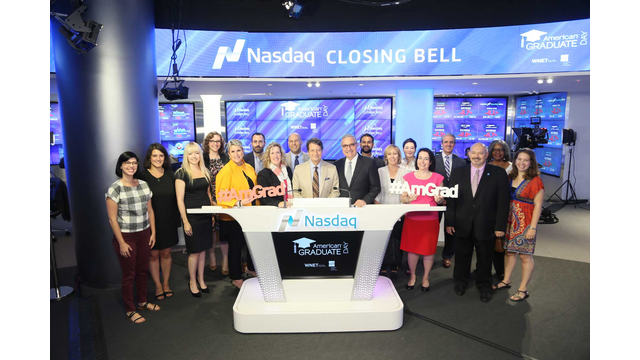 Nine Network of Public Media President & CEO Jack Galmiche and Senior Vice President of Community Engagement Amy Shaw joined WNET and CPB in ringing the closing bell of the Nasdaq in honor of American Graduate Day. American Graduate Day is a live, seven-hour multiplatform broadcast that leverages the power and reach of public media to focus on those organizations and individual Champions keeping kids on the path to graduation. See the event take place in the below video.